In 1988, a new health care system, the Sistema Unico de Saude (Unified Health Care System or SUS) was formally established in Brazil. The system was intended, among other goals, to provide universal access to health care services and to redefine health as a citizen's right and a duty of the state. A Right to Health explores how these goals have unfolded within an urban peripheral community located on the edges of the northeastern city of Fortaleza. Focusing on the decade 1998-2008 and the impact of health care reforms on one low-income neighborhood, Jessica Jerome documents the tensions that arose between the ideals of the reforms and their entanglement with pervasive socioeconomic inequality, neoliberal economic policy, and generational tension with the community. Using ethnographic and historical research, the book traces the history of political activism in the community, showing that, since the community's formation in the early 1930s, residents have consistently fought for health care services. 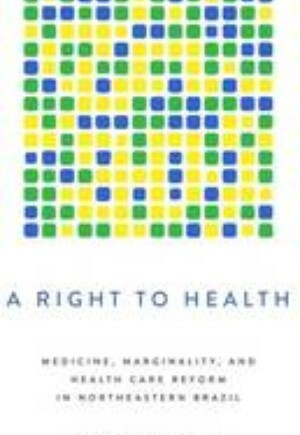 In so doing, Jerome develops a multilayered portrait of urban peripheral life and suggests that the notion of health care as a right of each citizen plays a major role not only in the way in which health care is allocated, but, perhaps more importantly, in how health care is understood and experienced.